Bathing today can be classed as much more than just hygiene, it is now a place of relaxation and comfort. 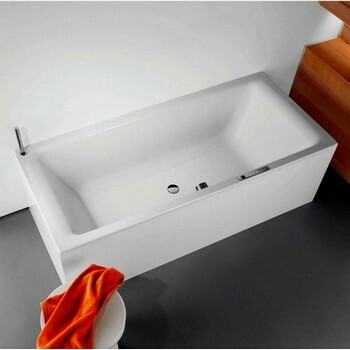 Kaldewei reflect this in their high quality bath designs and modern bathing features. The selection of Kaldewei baths available online from Trading Depot are manufactured to the highest standards of design and quality. The unique steel used within the production of the baths give a consistent look and makes them an ideal heat conductor. Kaldewei baths guarantee the highest quality along with exquisite aesthetics to offer the ultimate in luxurious bathing. Within the Kaldewei bathing section you will find a selection of different options including models from the Kaldewei Advantage range, the Kaldewei Avantgarde range and the Kaldewei Eurowa range as well as a number of bathing accessories. The Advantage collection from Kaldewei include some of their most popular and practical bath ranges including the Cayono, Saniform and Sanilux. The baths in this collection combine modern designs with advanced aesthetics. Built from a 3.5mm steel enamel and backed by a lengthy warranty the Advantage baths are often the choice opted for by plumbers and installers. The Ambiente collection from Kaldewei includes the popular Puro range which has an especially generous interior length for the ultimate bathing comfort. The baths in this collection are built from a 3.5mm steel enamel which guarantees long lasting quality. 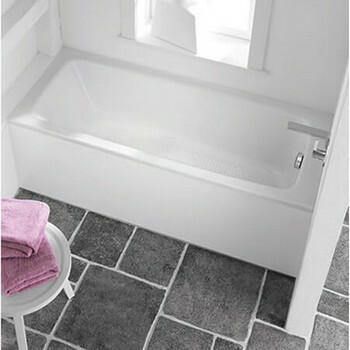 The baths are available in a selection of sizes and have the option of anti-slip or easy clean. The Eurowa baths from Kaldewei are an excellent entry level solution for anyone looking to fit a new bath or replace and existing bath on a budget. The size options in the range are perfect for many bathrooms, including small bathrooms and their classic design features can help compliment any bathroom style or decor. 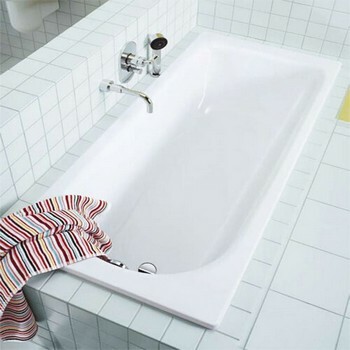 Leg sets are supplied with all of the Eurowa baths from Trading Depot. The Kaldewei Avantgarde baths offer high levels of sophisticated design combined with stylish aesthetics. The Avantgarde baths can help inspire bathroom designs and turn them into reality. The baths are available in a selection of sizes with certain models supplied with an easy clean finish for added convenience. Kaldewei baths with anti-slip and/or easy clean finish will be a special order and can be a 2 - 6 week lead time.